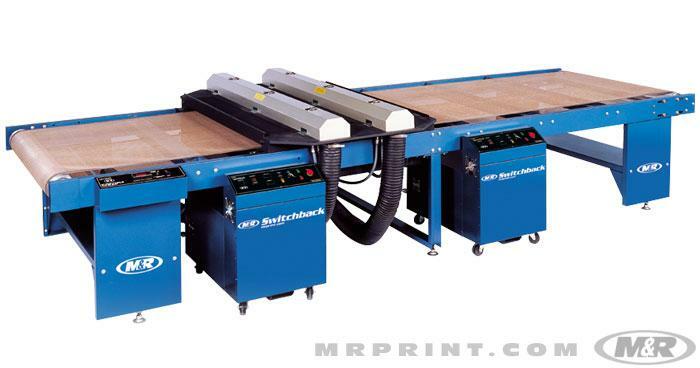 M&R’s makes the world’s premier dual-reflector UV screen printing conveyor dryers and the world’s foremost gas conveyor dryer for graphics screen printing applications. Switchback and Vitran II UV conveyor dryers feature patented dual-reflector technology to deliver faster curing, lower energy costs, and cooler operation. Guardian II is the industry's most efficient, innovative, and affordable high-production gas dryer for graphics screen printing applications. 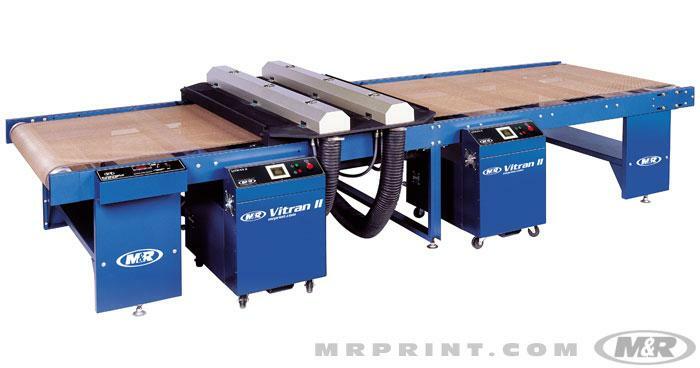 Switchback™ and Vitran II™ are the finest UV cure systems available. M&R’s dual-reflector technology delivers faster curing, lower energy costs, and cooler operation. Each system uses a secondary reflector—positioned at the top of the primary reflector—to capture the energy that normally bounces down onto the lamp. The secondary reflector redirects this UV energy onto the substrate, speeding the curing process while saving energy and prolonging lamp life.